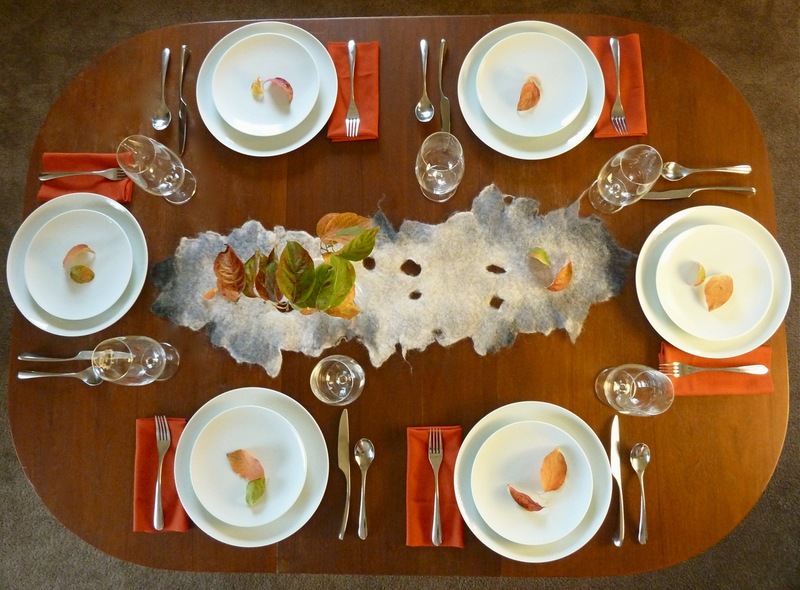 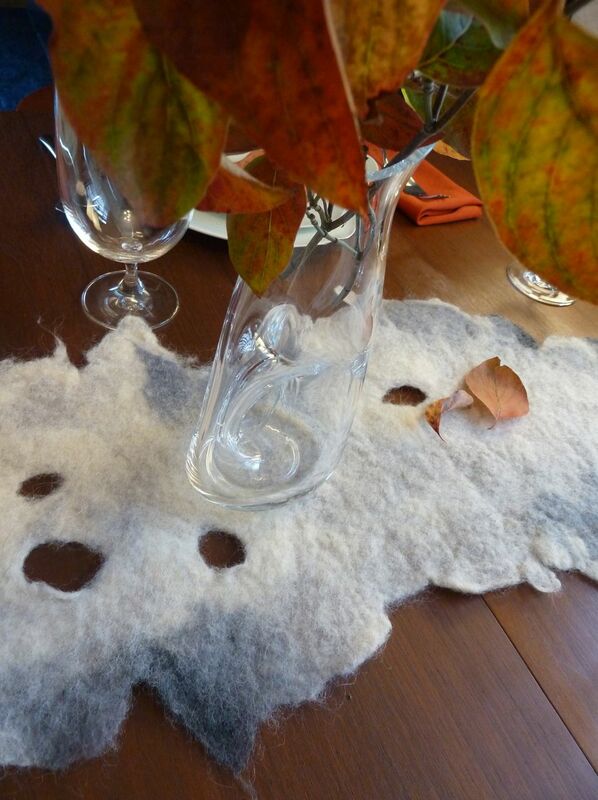 Here is a table runner I wet felted with fall decor and wedding centerpieces in mind. 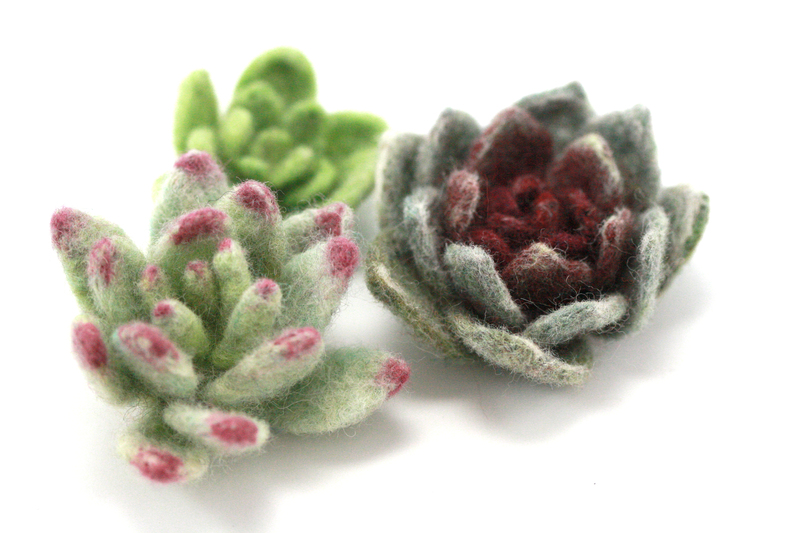 I really enjoy the process that goes into making these! 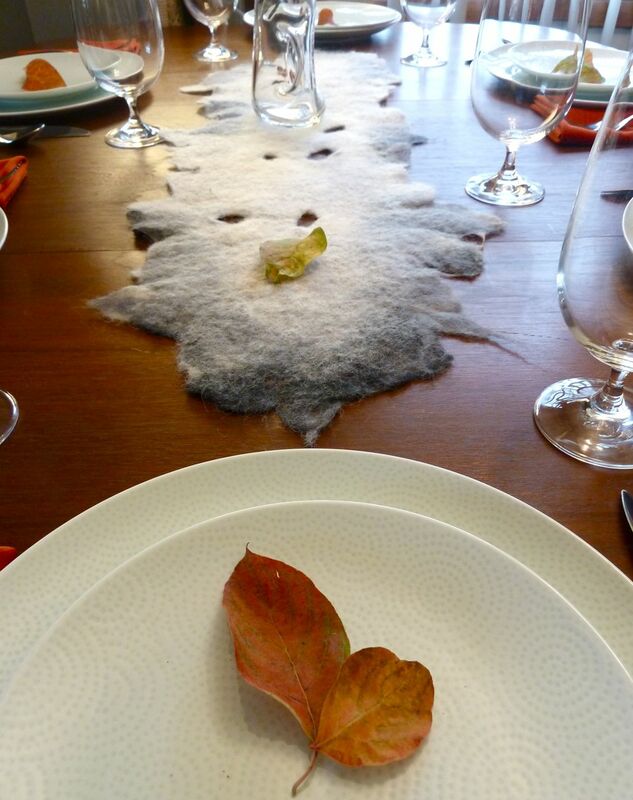 This rug has been hand-felted using the centuries-old wet felting technique. 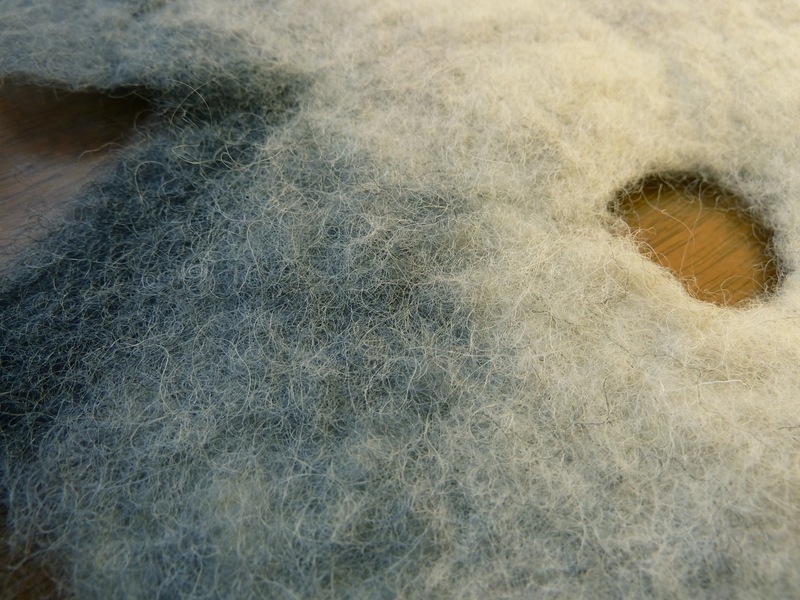 The Clearwater Rug is inspired by a stone found near the confluence of the Clearwater and Snake Rivers in Northern Idaho. 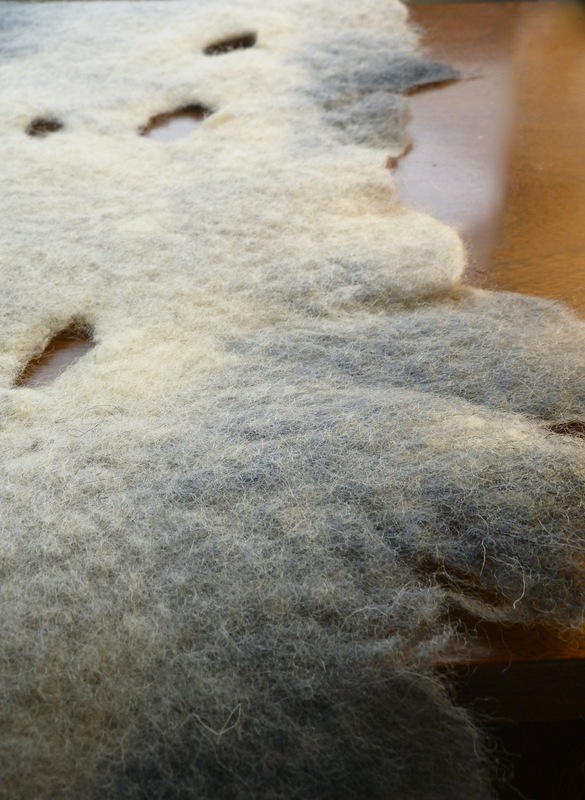 Here is a photo journal of a wool rug I made using the traditional techniques of wet felting.